My gag reflex. We need to talk about it. There are very few foods that I flat out hands down will not eat. Capsicum is one of them. How anyone can stand the smell, let alone eat it, is completely beyond me. I wouldn't call myself a particularly adventurous eater but I'm generally willing to try most things at least once. 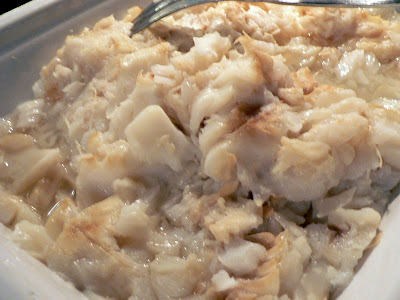 Need I remind you that in 2007 I sampled lutfisk and reindeer on the same plate? And yes, the fish really did look that appetising in person. About 3 years ago I was having dinner at my dad's place. There had been no prior mention of what we'd be eating, but I assumed the usual BBQ steak or roast lamb. Had I been forewarned then perhaps I could have mentioned that I Do Not Eat corned beef. Here is why: when I was in second year at university I did histology. It's microscopic anatomy. I learned what muscle and blood vessels look like under the microscope. For some reason whenever I was eating meat for about a year after that I would get a vivid mental image of the way the tissue looked under the microscope and it would trigger my gag reflex. I just couldn't do it. So there we are at the dinner table and I'm treading on eggshells anyway because I always inadvertently offend my father's wife, and out comes the dinner. And I mean, this wasn't store bought beef, it was a huge hunk of sweaty pink meat stewing away in the pan. Served with potato and brussel sprouts. The worst part was that I could see the blood vessels poking out all over the slices of meat. I ate one slice, and with each bite I could feel my teeth grinding up the veins and the muscle fibres. Even smothered in white sauce so I couldn't actually see the meat, I had to try actively not to gag. And let me tell you, you can't wash that image away with brussel sprouts. I tried. Really I did. But I just couldn't do it.